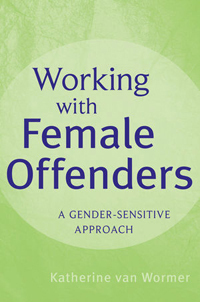 Taking into account the special needs of girls and women within a system designed by men for male offenders, Working with Female Offenders offers counselors, correctional officers, lawyers, probation officers, and anyone who works in some capacity with female offenders an evidence-based, gentler approach for working effectively and successfully with girls and women in trouble with the law. Working with Female Offenders provides coverage devoted to the nature of female crime and to the institutional settings in which much of the female-specific programming is designed to take place. This volume equips professionals with proven counseling strategies tailored to fit this population. • examples of successful, innovative programs for female offenders from the United States and abroad.